Margaret and Billy is a touching portrait commissioned by Margaret's husband Paul. Billy sadly passed away shortly before I painted this painting, so this is a lasting reminder of a beautiful friendship. 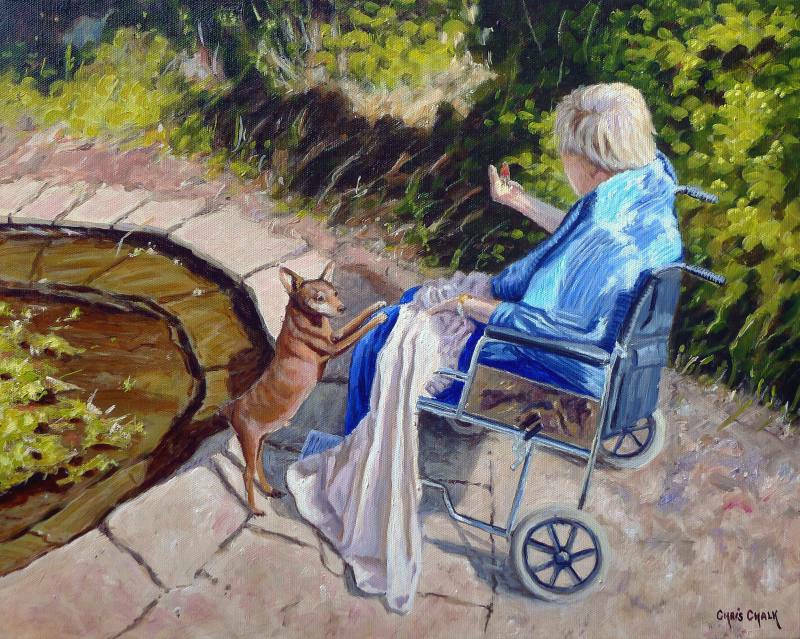 Margaret is feeding another good friend in the painting, a little robin that visits their garden daily.